About the productDouble Negative Ions: The GLAMFIELDS hair straightening brush seal the hair cuticles and lock in your hairs natural moisture, to eliminate frizz, split ends, knotting and adds shine, repairing the hair quality of harm, make a smooth, silky, natural lustrous look.Advanced MCH technology: Characterized by Heat Quickly, Save Energy, More Durable, Lasts Longer,it heats up within 30 seconds after boot, wider and denser comb tooth also decrease the time of straightening.4 Heating Setting: There be four different temperature levels from 330˚F to 450˚F (170°C -230°C), to provide you with total control for all your hair condition and hair styling needs.Easy To Use & Travel-Friendly: Small Size with 360 rotating handle, which is easy to operate with one hand to reduce the pressure of the wrist, the international dual voltage 110-240V with extra compatible adapter perfect for travel and vacation.Safety Controls: Made of High-quality flame-retardant plastic, the automatic shut-off after 30mins no action for security, temperature lock function can avoid accidentally changing the temperature. 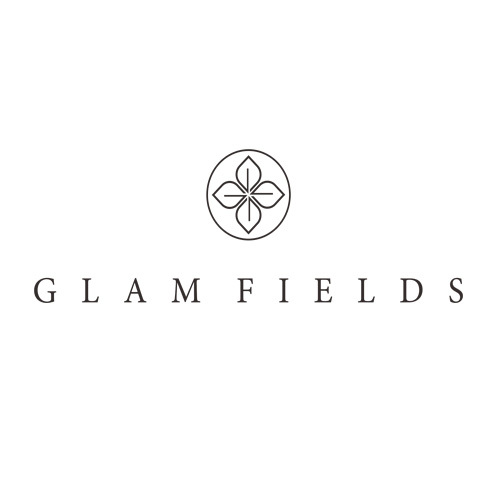 [Warranty] GLAMFIELDS provide 1 Year Guarantee and 3 Months Free Replacement or Refund. 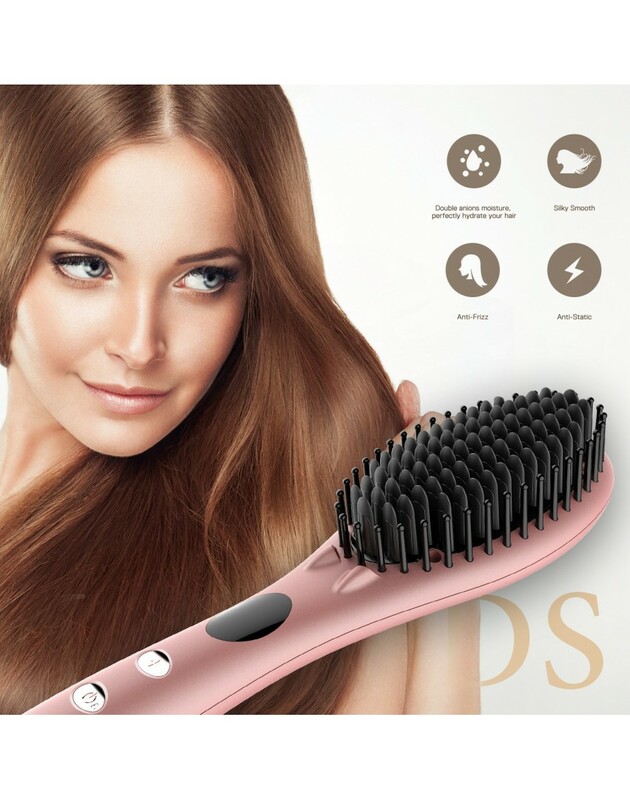 Today hair straightening brushes are the latest fad among girls with all hair types. Gone are the days of flat ironing your hair with all that excruciating pain! 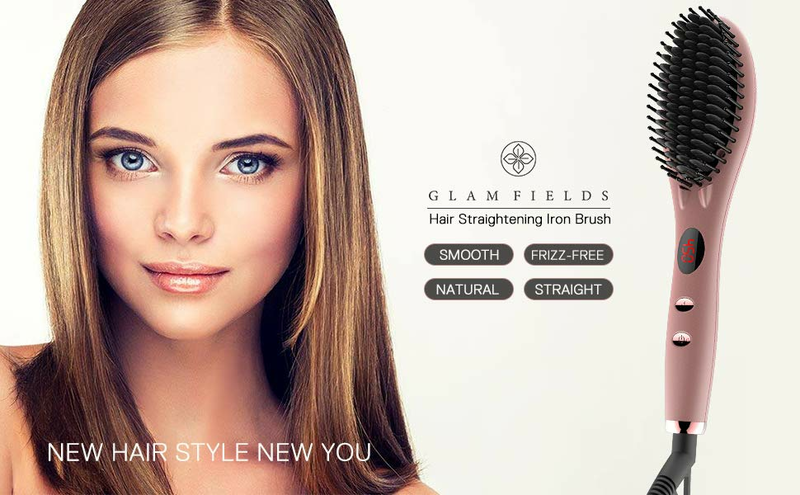 If you want to try something new and versatile, Glam field’s hair straightening brush is just the right thing for you. The Glam field’s hair straightening iron brush is ideal for people who prefer a natural healthy look for their hair over the poker straight look. This hair straightener brush is truly the smartest hair styling solution ever. Ceramic comb teeth can heat up fast without wasting time waiting, the straight hair effect can be kept for a few days before shampooing. Double Anion repair rough, bifurcated and damaged hair, make hair a natural, healthy and sleek look. 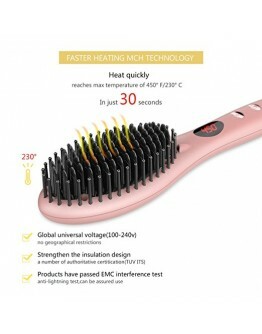 Adjustable 4 Heat Setting is suitable for all kinds of hair condition and hairstyle. International voltage, 360 rotating handles, 30 minutes auto off, temperature lock, Small details show the user-friendly design. Mini rose gold body with black combs and high-end gift wrap, the best choice for a gift. 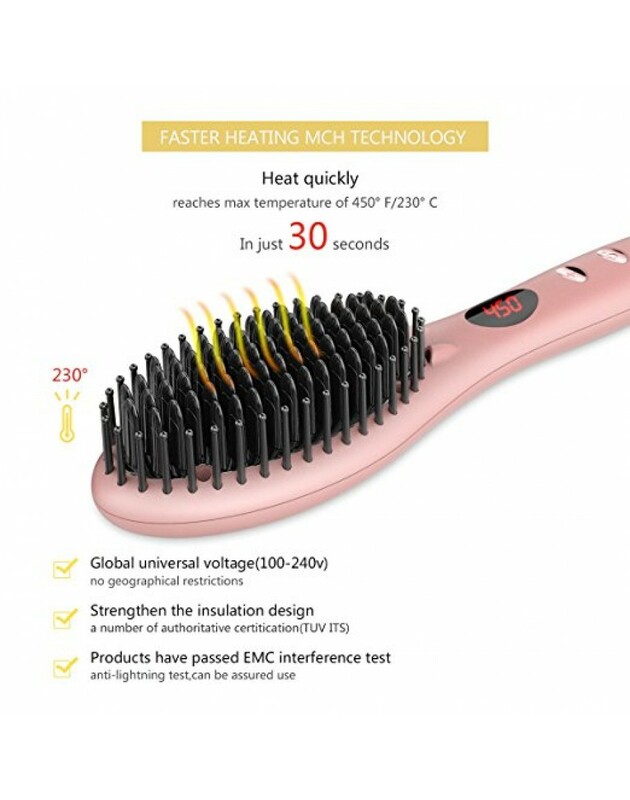 2018 GLAMFIELDS Newest Version Hair Straightener Brush: 30s Heats Quickly; Advanced MCH Technology; Double Ionic for Healthy Silky Hair; Update Nylon nano Comb brush, High Temperature Resistant and Increase density fit for all kinds of hair types. Fashionable Design! You might be having second thoughts about trying out a straightening brush if you have been using flat irons for the longest time. So let’s get down to the points that will give you a better understanding of how a hair straightening brush works better than a flat iron. QUICK RESULTS – Getting your hair straightened through a flat iron means spending hours in front of the mirror till you get it finally done! While a ceramic straightening brush requires you to do is to run through the hair a few times and get a section done! PRESERVES NATURAL MOISTURE – One of the most significant features that give a straight hair brush an edge over flat ironing is its ability to preserve the natural moisture of your hair. When you use a flat iron to straighten your hair, it is very likely to steal away the moisture from your hair. 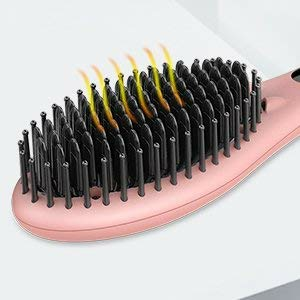 SAFE TO USE – A straightener brush is much safer to use in comparison to flat irons. A flat iron has hot plates that are quite easy to come in contact to anyone while using them. These bare hot plates can cause burns if touched accidentally. 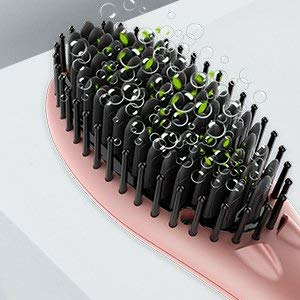 But a straightening brush saves you from any such possibilities, through their protecting bristles. KEEPS THE VOLUME OF THE HAIR INTACT – If you are someone who likes to style your hair keeping its natural volume intact, you must go for a straightening brush instead of a flat iron. Ironing will give your hair a flattened look, taking away its naturally rich volume and shine. A straightening brush will straighten your hair without transforming its natural shape and add more individuality to your personality over a flattened look that appears all the most same on everyone. BETTER HEAT PROTECTION – Heat protection is one of the most crucial factors that make a straightening brush a much better option over a flat iron. Extreme exposure to heat can damage your hair to a great extent. It can lead to weakened hair, split ends, and hair fall. Even a one-time use of flat ironing can cause severe damage to your hair. A straightening brush on the other hand will not cause such extreme levels of damage to your hair. .
NO PAINS – Using a flat iron to straighten your hair can be quite a painful experience with all the clamping and dragging involved in the whole process. But when you are using a hair straightener brush you can save yourself from all the painful tugging as the brush tends to run through your hair from the root in a more smooth way. 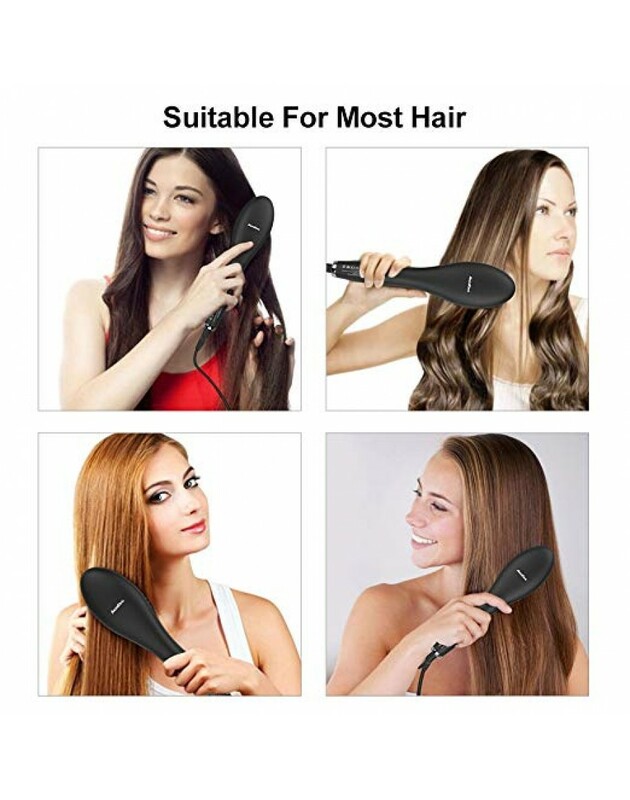 The double negative ion feature of this hair brush iron straightening helps you get rid of extra frizz from your hair and fix damage, making it ideal to use on frizzy hair. 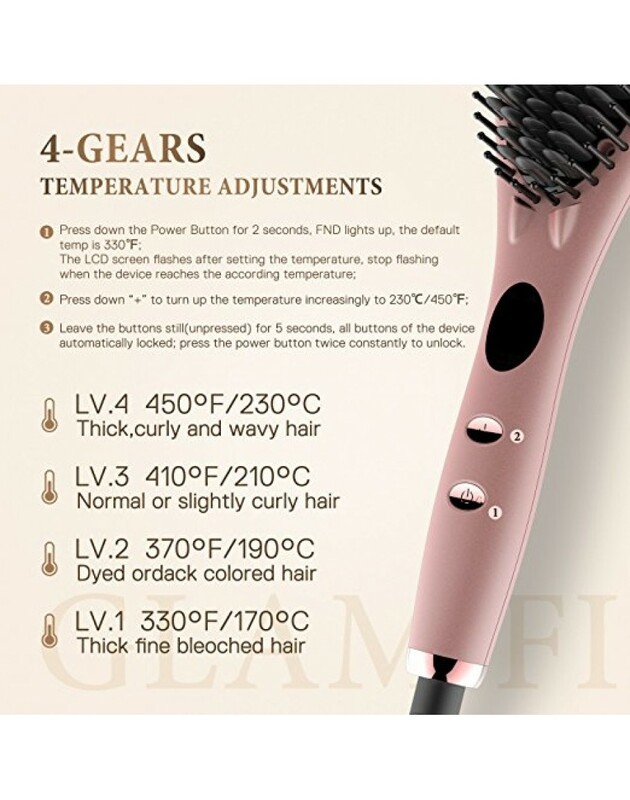 The Glam field’s electric hair brush offers four different temperature levels for you to choose from. You can set the temperature levels on the brush from 170 degree Celsius to 230 degree Celsius to meet your styling needs. Save precious time with our extra speedy heat up MCH technology that allows you to start straightening your hair within 30 seconds. Our well-loved brush comes with an automatic shut off and temperature lock safety feature. Universal voltage for worldwide usage. This compact simply straight brush comes with a 360 rotating handle that helps you operate with one hand with utmost convenience. Small size for ultimate convenience while styling Next generation 360° anti-scald bristles 59 bristles allow 7 times more contact than a flat iron in every stroke. 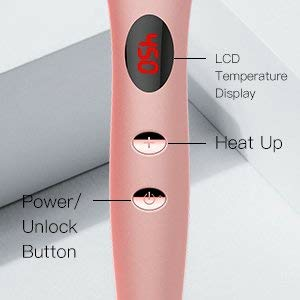 If you leave the buttons still (unpressed) for 5 seconds, all buttons of the device automatically locked; press the power button twice constantly to unlock. ❤ Brush Slowly in a pulling motion; ❤ Make Sure your hair gets deep into the inner area of the brush. 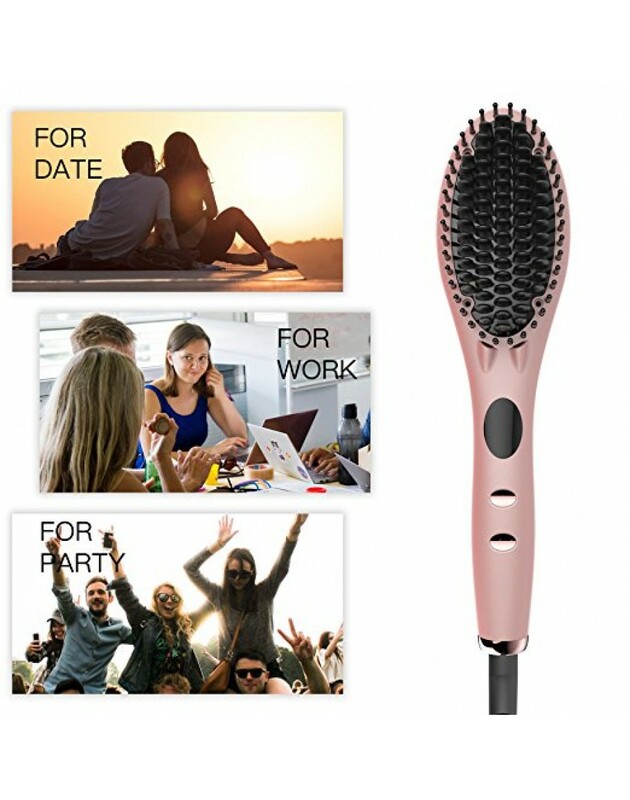 【3 IN 1】 The facial cleansing brush with 3 brush heads. A natural foam brush head for makeup removin..